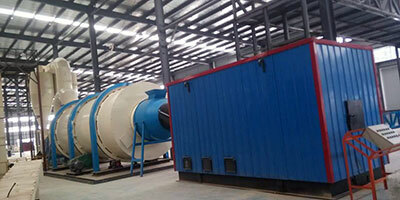 Product categories of Wood Pellet Production Line, we are specialized manufacturers from China, Wood Pellet Production Line, Sawdust Pellet Production Line suppliers/factory, wholesale high-quality products of Complete Wood Pellet Production Line R & D and manufacturing, we have the perfect after-sales service and technical support. Look forward to your cooperation! 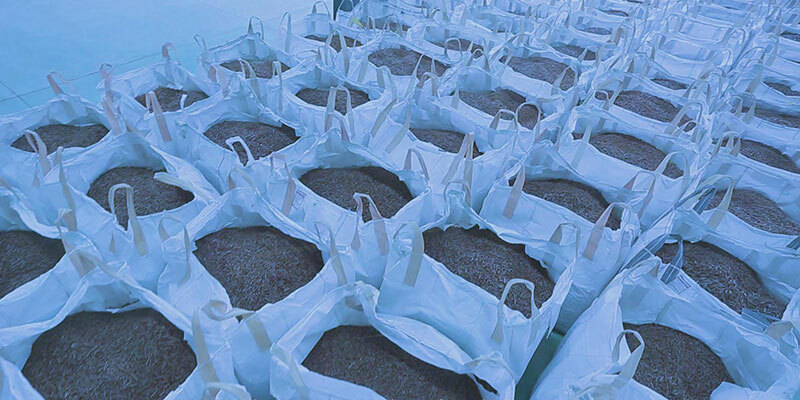 sun flower seed, palm shell, paper, plastic ect, such as fertilizer materials from animal manure ,plant waste ect . there is knives installed nearby our pellet outlet door, whichcan adjust pellet length. 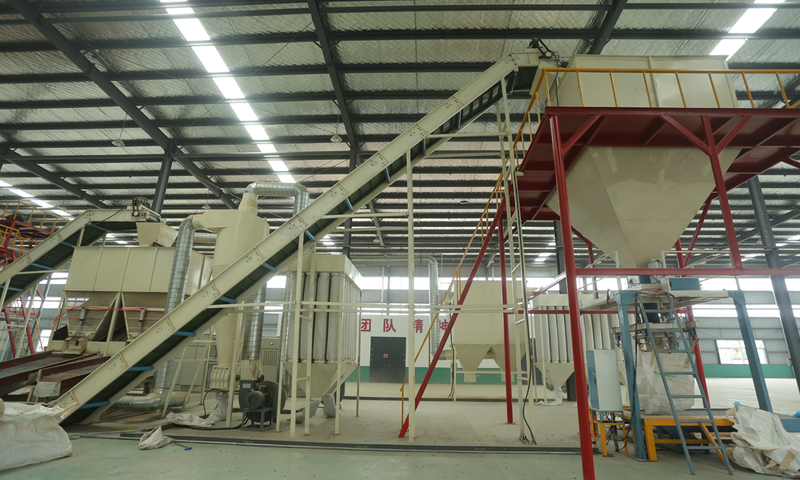 Section, Cooling Section ,screening Section, PackingSection .invest price low and working efficiency high. 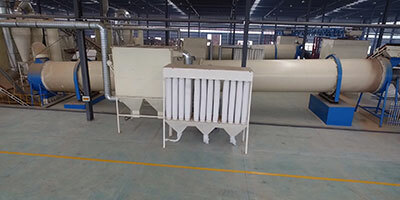 when works ,roller assemble will move , ring die keep stable , in this way will produce large pressure and press good pellets . 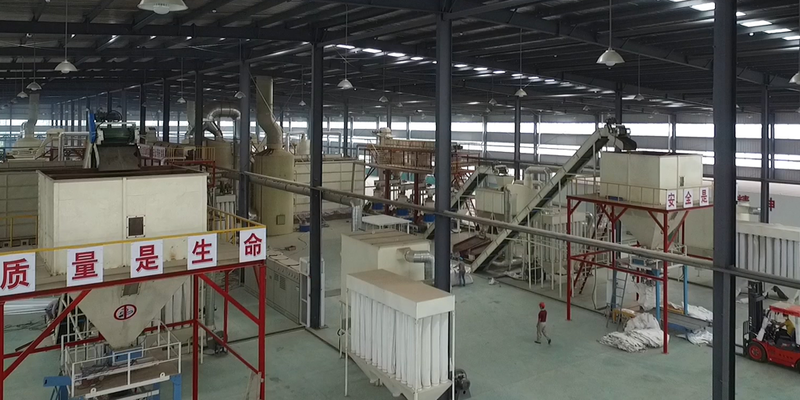 Also the two layers die :top layer and bottom layer, only bottom layer works, when ring die is broken, then take over it and make top layer into bottom, in this way one ring die can use two times , also top layer and bottom layer hole can be different , so one ring die also can press two dimension pellets.but other suppliers pellet machine only can press one type. Japan ,Korea, Vietnam Tunisia ,Malaysia, Russia ect . greatly welcome to visit . systems, which can lubricate spare parts rollers, shaft, bearings and gears automatically , the pressure between rollers and die can be adjusted automatically to fit for different materials pressure ratio ,now it is our national patent product . 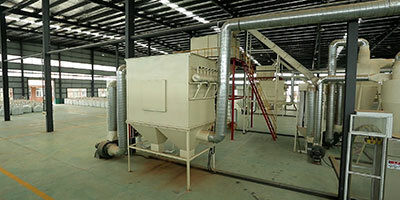 systems, through high technology heat treatment , we can ensure its high quality and good precision. 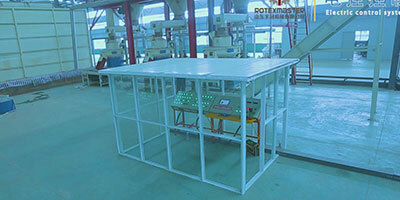 equipments with low investment and high profit. customer , greatly welcome to call and email me for details . 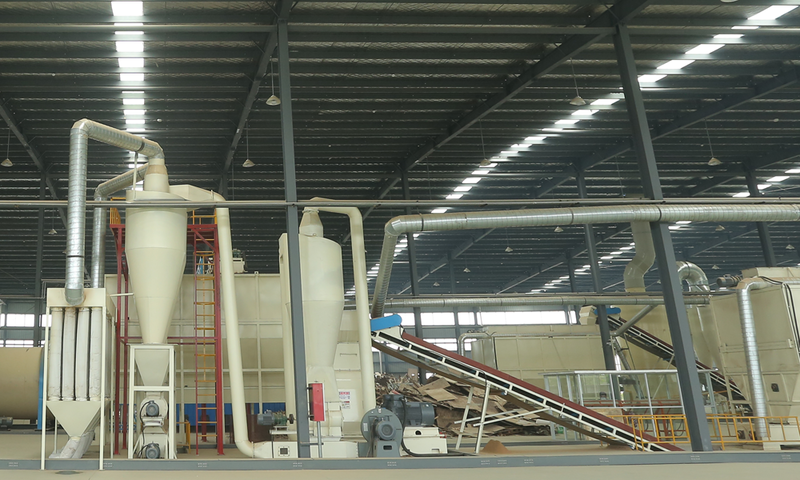 your materials dimension and raw humidity. Then we will design the full flow chart with best price for you. 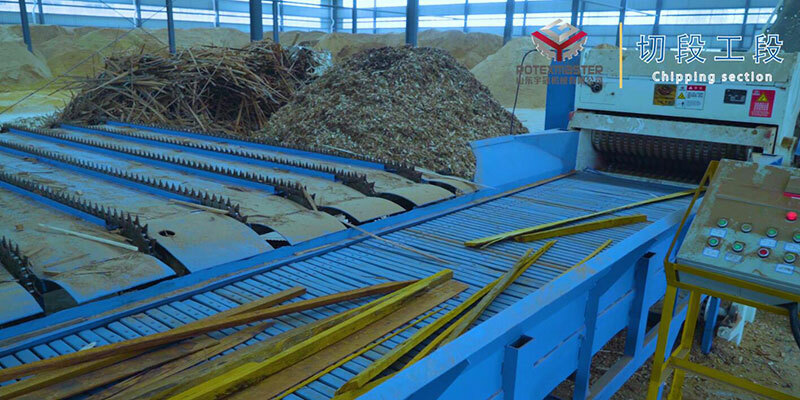 The mechanical gripper put the wood on the buffer platform then the vibration conveyor send it into the chipper machine crushing wood into wood chips. 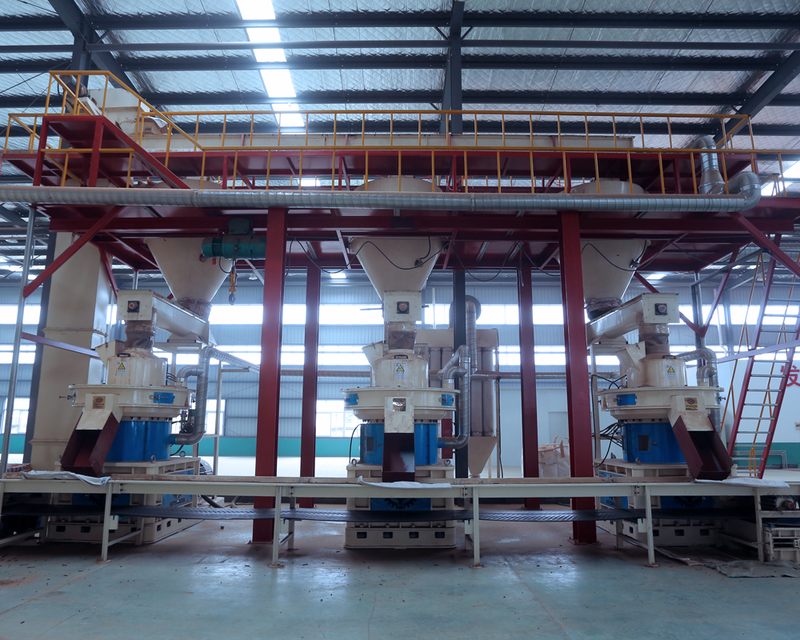 There are 6 sets 220kw YGKJ850 Vertical Ring Die Wood Pellet Machine in pelletizing section, after some time`s storage ,the moisture of material in the material, silo is evenly, easy to formation,220kw YGKJ850 vertical ring die Wood Pellet Machine , high efficiency, strong stability, low maintenance cost ; each device highly independent, more reasonable program design.